:: Bag People Blog :: Your Promotional Bag Specialists ::: Marketing : Investment or Expense? What is your view on marketing spend? It's a simple question that seems to trap a lot of people. Put simply - spending money on marketing is absolutely necessary to build your business; you need to let people who you are & what you do. 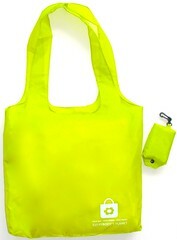 Have you considered a Reusable Bag as a Marketing Tool? Use Bag People to get your brand on a Bag. Then; give the bags away to your customers. For no more than the few coins in your pocket, you can make sure customers come back to you rather than your competitors. Think about it - it's highly likely you'd spend more each day on coffee & lunch then you would to get a customer to come back. Now, really thing about it. If nothing else, Contact Us to find out how inexpensive it can be.